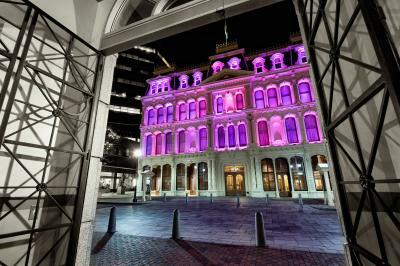 Wilmington and its surrounding communities have a reputation for being rich with history and culture, but even that doesn&apos;t do justice to the incredible opera performances that visitors will be privileged to take in during the 2018 OperaDelaware Festival. Kicking off on Saturday, April 28, and running over two-weekends, the OperaDelaware festival will feature a total of seven one-act performances that provide the perfect centerpiece for a trip to The First State. And for anyone who is passionate about embracing the arts, this is a trip that you just won&apos;t want to miss. Starting with the festival itself, there will be seven one-act performances beginning on Saturday, April 28 and running through the end of the following weekend. Each of the performances will be a celebration of Puccini&apos;s Il Trittico that comes with a unique OperaDelaware festival twist. Pulling bits and pieces from a collection of Puccini masterpieces, visitors will be able to see II Tabarro, Gianni Schicchi, Suor Angelica, Buoso&apos;s Ghost, and an Opera Uncorked Special called A Flight of Puccini. Tickets to the A Flight of Puccini performances on May 3 and May 4 are already sold out, but you can still get great seats for all of the other shows. In addition to great shows, the OperaDelaware Festival will also give visitors the opportunity to experience a performance in Wilmington&apos;s Grand Opera House. This historic building has been hosting live music events and Broadway shows for more than 140 years, and it is still one of the best sounding theaters you will find anywhere in the country. If you are coming to Wilmington to enjoy the OperaDelaware Festival, you might also want to plan on visiting some of the other local attractions. One specific destination that will inspire many opera fans is the Delaware Art Museum. This is one of the real hubs of the Delaware art scene, and it is also an excellent stop for anyone who is passionate about the type of creativity that is needed to inspire a masterpiece like any of the Puccini performances. Another popular attraction that fits perfectly with a weekend of opera is the Rockwood Park & Museum. The museum is a stunning example of Gothic Revival architecture and is set up to look just as it would have during the turn of the 20th century. Whether you are hungry for something before the festival or planning for some munchies afterward, there are plenty of amazing restaurants to please your palate here in Wilmington. For the opera fans that want a traditional Italian meal, we always recommend stopping at Ristorante Attilio or Luigi Vitrone&apos;s Pastabilities. If you prefer more American cuisine, La Fia Bistro, Harry&apos;s Savoy Grill and Domain Hudson are always great places to start, as is the Green Room at the famed Hotel DuPont. All of the performances at the OperaDelaware Festival 2018 are going to be amazing and surrounding them with a few other cultural attractions and fabulous food is a great way to turn one or two incredible performances into a weekend that you will never forget. Book your tickets to the festival now and get started planning the rest of your trip with our free Visitors Guide.